I don't know what the difference is between face 1 and face 2. Please refer to the picture that I provided in the orginal post. All I know is they look awesome on a GTR. What else would you put on your GTR. $3300 ONO Be quick these wheels will sell. VOLK GTC 18x10 inch rims with 265/35/18 Brand new tyres (unused). 5x 114.3 +24 offset suits GTR 32/33/34 comes with Rays wheels nuts. Wheels are used but are in excellent condition - tyres are brand new. Located in Brisbane - prefer pick up due to size. $3300 ONO Call (0422 066 531) for details. please dont email or PM. 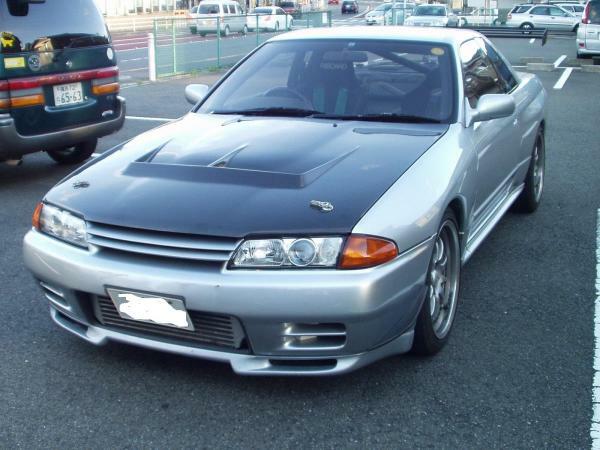 Item : R32 GTR Front gaurds - 1 Pair . Good upgrade for Gtst. $850 each new from nissan. Location: Brisbane Condition: Good Price: Offers Contact: 0422 066 531 Prefer pick up. Looks good, my mate is in the market to buy- I will tell him about this one. Item: Front Gaurds $ 600 Pair ABS unit $ 500 Rear Bar & Rheo $ 200 Doors LH & RH Complete $ 600 Pair Field torque split controller with ecu $ 200 Front Headlights $ 200 Pair Standard Blow off Valves $ 100 Heaps of other parts - just ask me. Location:Brisbane Item Condition:All Items in Good condition Reason for Selling:Cleaning out the garage Price and Payment Conditions: Cash Extra Info:Will only post small parts / large parts pick up. Contact Details: Ph: 0422066531 or email jacques@swaan.com.au No PM's please.